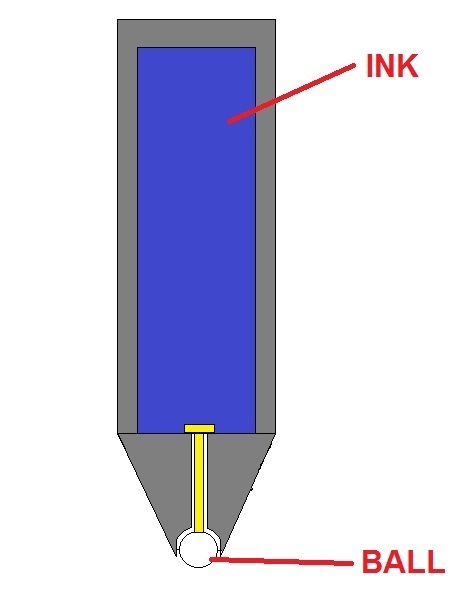 I'm Curious Too: How Does A Ball Pen Work? 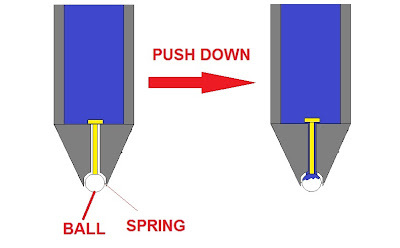 How Does A Ball Pen Work? Ball pen, or ballpoint pen, is something so insignificant it could be found lying around your office, kitchen, study room or even bathroom (I find it handy when wanting to write some important notes which would otherwise be forgotten). The Ball Pen has a metallic ball at the tip, and hence its name. I hope that the simple diagram above would be enough to explain the working mechanism of the humble ball pen. How Many Balloons Does It Take To Lift A House?